It seems that the Indian Government’s ambitious target of 100GW solar capacity by 2022 is not unfounded, with commitments in the sector accelerating rapidly. US-based SunEdison is to develop a US$4b solar panel factory through a JV with Indian conglomerate Adani Enterprises, as well as more than 10GW of PV capacity over the next five years. Even state-owned Coal India Ltd. is to develop 1GW of domestic solar capacity, while the US Ex-Im Bank has committed US$1b to clean energy projects in the country. A 100MW offshore wind farm is also currently under development in Gujarat, the first step toward India’s goal of 1GW offshore wind capacity by 2020. 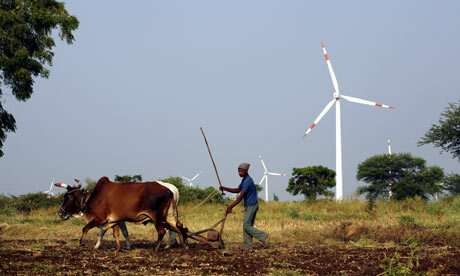 After Narendra Modi's ambitious Rs 6 lakh crore solar mission and the new wind energy plan, Power Minister Piyush Goyal expects India to become an energy powerhouse globally with the largest renewable energy base. Soon after Cabinet approved the offshore wind energy policy, Goyal told Bloomberg TV India that India will lead the world in offshore wind energy rather than follow others. While this may sound ambitious, Goyal said: "Gujarat alone has 1,06,000 MW offshore wind energy potential, Tamil Nadu has 60,000 MW potential."